Of the fifty public universities in our survey, 19 have honors colleges (38%), and 31 have honors programs (62%). Below is comparison showing the number of prestigious undergraduate and graduate scholarships awarded, by category. For purposes of the comparison, we are using the whole history of Rhodes scholarships; Gates and Marshall scholarships since 2001–2011; Churchill Scholarships since 1963; and all Truman Scholars since 1977. Fulbright scholarships are not included in the comparison because those totals have been adjusted for the size of the undergraduate population and raw numbers would be misleading in this comparison. They will be considered in the final review of programs and colleges. We considered looking only at awards during the last ten years or so, but decided on a combined approach, using all Rhodes awards, for example, because of their prominence in the public mind and because they are the most difficult to earn, given the small number (32 this year) that are awarded to U.S. students. However, we are only counting more recent Marshall awards, as noted above. Postgraduate awards for UC campuses have been adjusted to take into account the dates on which they commenced operations. The figures reveal that universities with honors programs have a higher proportion of prestigious scholarship winners than do universities with honors colleges, although the latter come close to proportional equality in the category of undergraduate scholarships. 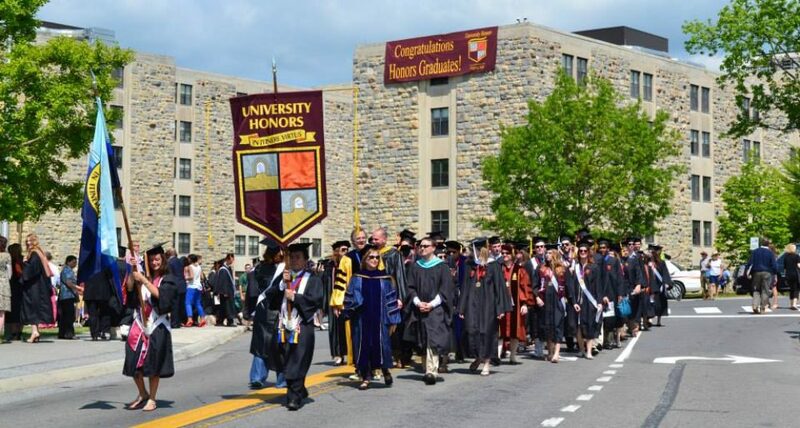 One possible explanation for the greater proportion coming from honors programs is that honors colleges are typically a more recent development in honors education; in some cases, the universities of which they are now a part did not have an existing pattern of receiving a large number of prestigious scholarships before the inception of the honors colleges. On the other hand, the Goldwater Scholarships (1989) and the Udall Scholarships (1996), both for undergraduate research, are relatively recent additions that have given the newer honors colleges an opportunity to prove their value by over-performing in Udall Scholarships and holding their own in Goldwater Scholarships. Honors Colleges, Udall Scholarships, 44.1% of the total. Honors Programs, Udall Scholarships, 55.9% of the total. Honors Colleges, Goldwater Scholarships, 35.2% of the total. Honors Programs, Goldwater Scholarships, 64.8% of the total. Honors Colleges, Postgraduate Scholarships, 31.8% of the total. Honors Programs, Postgraduate Scholarships, 68.2% of the total.